Local SEO can drastically increase your web traffic from targeted visitors who are looking for your local service. There’s only one aim of local SEO—increase leads and sales. Although many of the techniques are similar, there is a clear difference between local and national SEO. 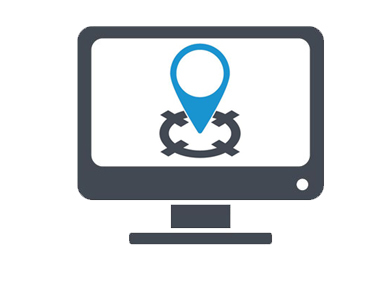 Local SEO is the obvious choice for businesses with a local remit and market. For example, you would want to be at the top of Google search results for ‘Hotels, Blackpool’ but you wouldn’t want to invest time and money into being top for the search term, ‘hotels’. There is good news: Google loves local business. 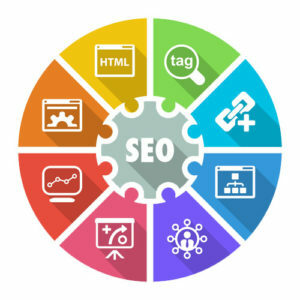 If you can establish yourself as a reputable business, which services the local community, then Google and other search engines will reward you. You may have seen a Google map listing for businesses in local areas, such as the one below. Our aim is to get you listed on the map results and on page one of Google. And we’re proud of our 100% success rate in doing this. To find out how we can help your local business soar to the top of search results, just get in contact here. Sometimes, it’s easy to presume that local SEO is far easier than national SEO, but it all depends on the keywords you’re targeting. Martin Huntbach, SEO expert and owner. So what’s the process? And how do we get your business to that all important hotspot? Firstly, we will do some keyword research, identifying what the best keywords are for your business. For example, some people feel the wider the search location, the more traffic they’ll get. But that’s simply not true. More people search for ‘Solicitor, Blackpool’ than they would, ‘Solicitor, Lancashire’, for example. We’ll send you a list of keywords, along with a PDF report, which evaluates your current website for SEO. This will be sent to your for free, before you begin to work with us. If you want to go with us, then we’ll get cracking! We’ll work on tweaking and editing a mixture of on-site elements such as your title tags; H1 tags, URLs, image alt attributes, maps etc; and off-site elements, such as building citations and claiming your Google My business page. Don’t worry if you don’t understand this, that’s our job!